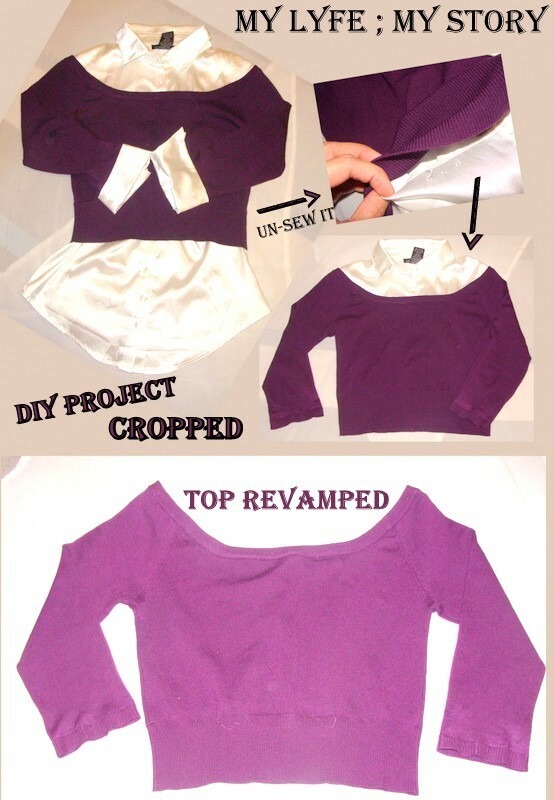 This is another DIY post related to Earth Day! Once again this DIY posts will be done with old materials found at home. This is more of a recycle and reuse project since this particular piece of clothing use to be very fashionable a few years ago and since then it some how stayed in my closet. Poor thing never say the daylight until recently. 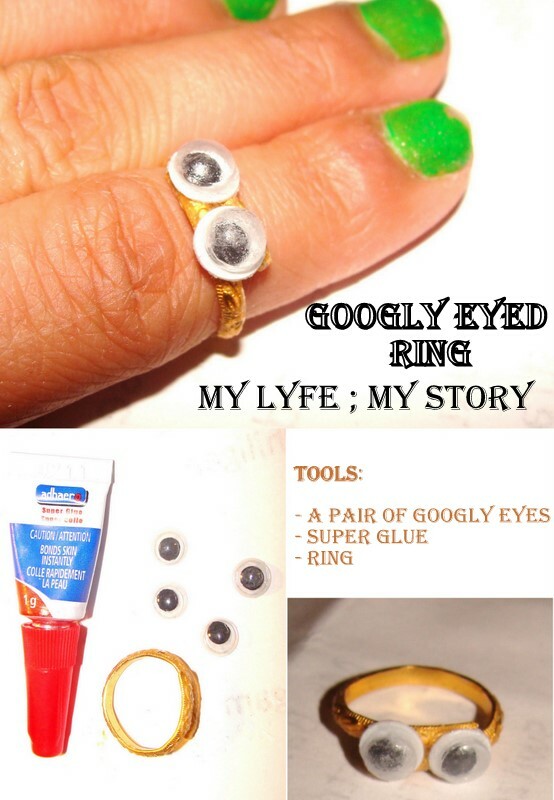 I will not be explaining anything about this DIY since everything seems to be already explained in the collage above. 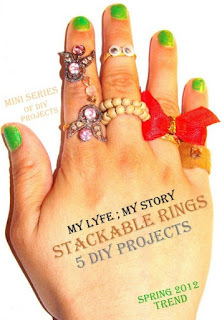 Once again I have to make this DIY project post really short and simple! However, I will be back at the end of this week with a much better and longer post. During the month of February, I received an opportunity to work with Born Pretty Store to conduct a product review on the 20 Piece Lashes Kit. 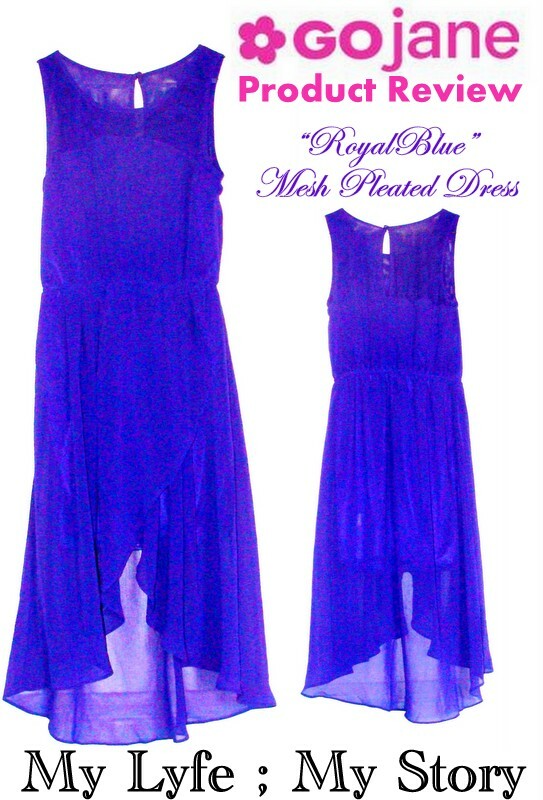 Plus, now I am given another opportunity to review one of their products from Born Pretty Store. Many of you already might have heard about this online store. However for those who haven't, Born Pretty Store is a great online store that sells lots of fantastic nail art, nail care, eye lashes kits, makeup items and the list continues. Beautiful Jewellery Alloy Rhinestones Bracelet in Anti-Gold. The anti-gold colour itself makes the bracelet stand out. As always gold does make people turn heads to look at you. Well, this is the same case with this specific bracelet. I love the detailed bases and the dangle pieces hanging on the bracelet give it a elegant look. 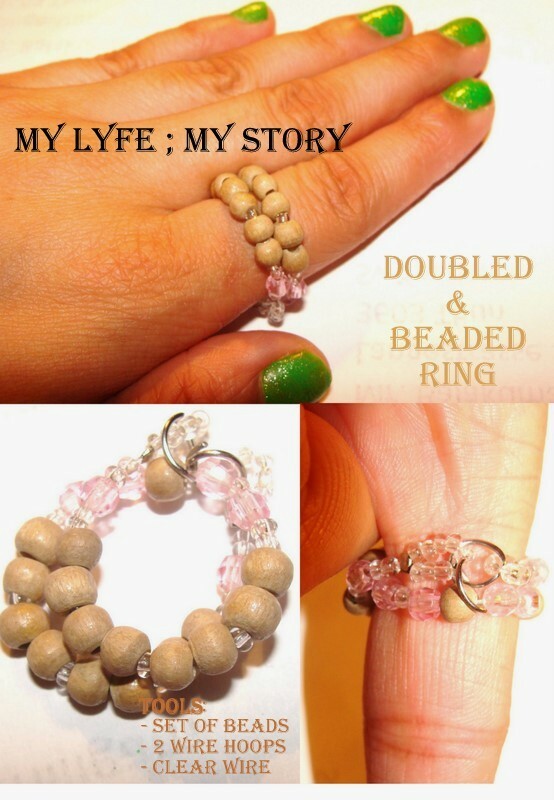 Furthermore, the bracelet have a magnetic end to clasps the ends of the bracelet together. Plus, it's pretty strong, I wore the bracelet for five days straight and it didn't fall off my wrist at all. Also, it isn't heavy at all and definitely makes a simple outfit stand out. Even more, you don't need to fill you wrist with tons of bracelets just this one alone does a perfect job. Overall, I love this bracelet, that I received to review from Born Pretty Store and I have a feeling that I will be shopping on this website more often in the near future. 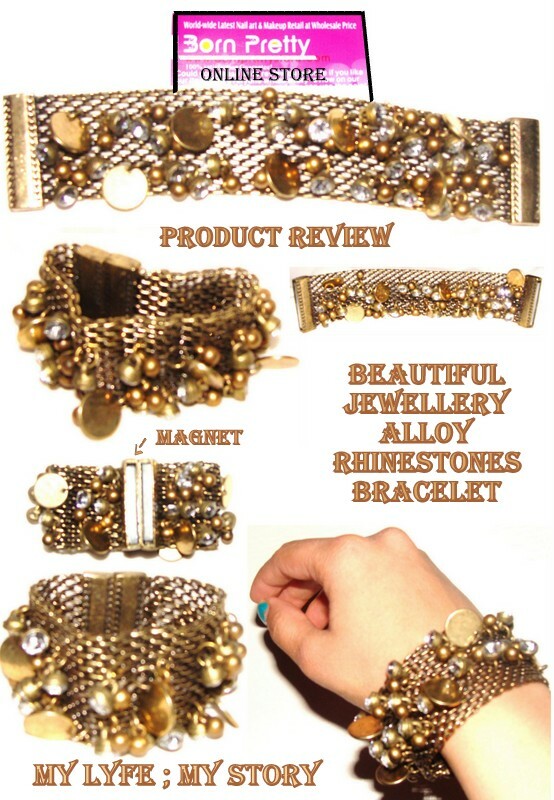 FTC: Born Pretty Store sponsored the Beautiful Jewellery Alloy Rhinestones Bracelet in Anti-Gold for my honest review. I was not compensated to make this entry and this is 100% my honest opinion. Here is the forth DIY Project of the mini series, "Stackable Rings". 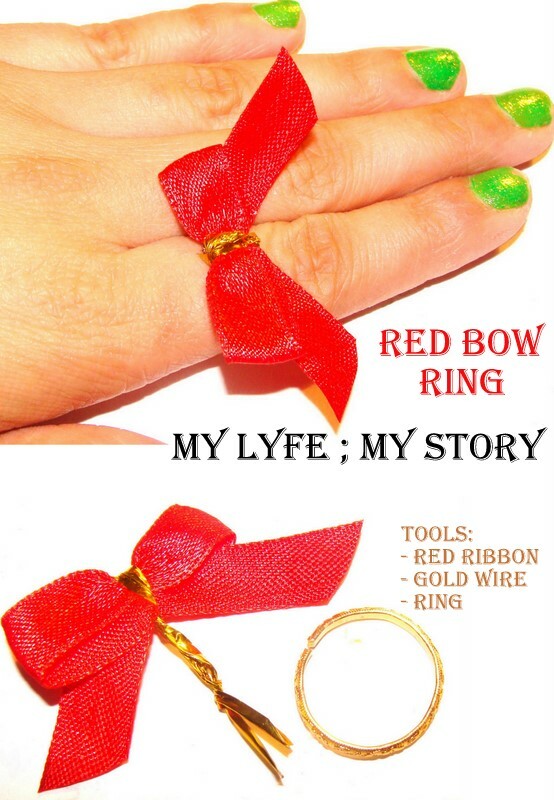 Step 1: First get red ribbon and use a gold wire to tie around it to create a bow. Step 2: Next place some super glue on the back of the bow. Step 3: Then, place the ring on the glue and hold it in place for a few seconds until it is able to stand up by itself. Step 4: Then finally, adjust the ring for your ring's size. Simple as four steps that's all!